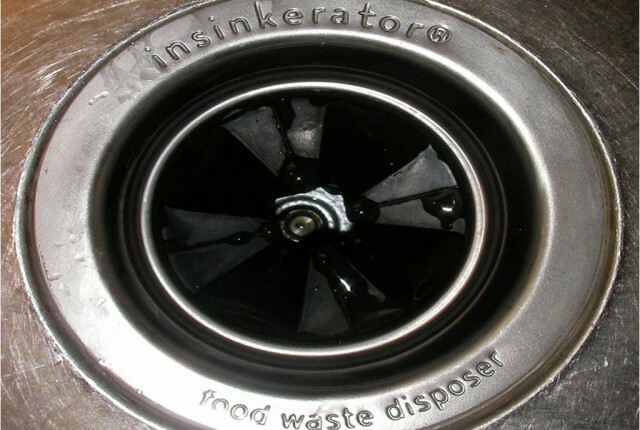 Garbage disposals give me the willies. Something that lethal shouldn’t be in the home. It’s like keeping a chainsaw in a baby’s crib. You just know there’s going to be tears. Maybe it’s a product of my English upbringing, as they don’t exist in England, or maybe I’ve seen too many American horror films, but I just don’t trust those things. I know there is an on/off switch, but there are ghosts in machines, faulty wiring, and malicious wives. Who’s to say that when I stick my hand in there, it won’t suddenly switch itself on? When I first moved to the US, I never went near the disposal in our apartment. Julie would catch me trying to sneak food items out to the trashcan. Julie forced me to face my fear and I do use the disposal now and again. There was a moment of joy a couple of years ago when the disposal choked on a chicken bone and died. Good, I thought, that’s the end of you. But Julie insisted on a replacement. The new one spits at me–and only me–when I use it. From time to time, the thing jams, but I don’t go near it. I let Julie fix it. Let her find out what I know, the hard way. 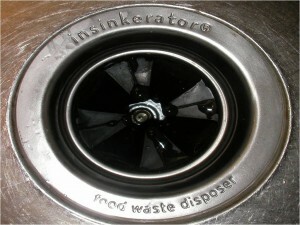 When you learn how a garbage disposal works, it all of a sudden becomes less scary. For instance, there’s not a blade inside going around and around like most of us think. Look it up one day. It might help. Born and raised here in the States and I have always thought garbage disposals just seemed too dangerous. It could also be my life long love of horror films though. Either way, I’m with you on the deadly machines.